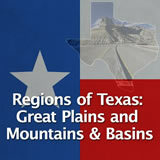 Students learn about two regions of Texas, the Great Plains and the Mountains and Basins. 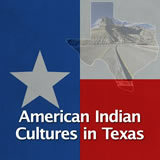 They identify cities, industries, climate, and natural resources that define the two regions. Next they define several prominent landforms. Finally, they write a persuasive paragraph explaining why they would prefer to live in one of the two regions. 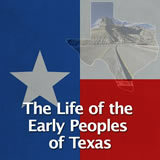 In this experience, students learn about two regions of Texas, the Great Plains and the Mountains and Basins. 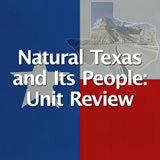 They identify cities, industries, climate, and natural resources that define the two regions. Next they define several prominent landforms of the Great Plains and explain the sparse population of the Mountains and Basins region. Finally, they write a persuasive paragraph explaining why they would prefer to live in one of the two regions. 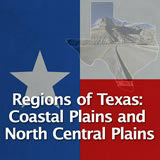 Note that the other two regions of Texas are covered in the experience Regions of Texas: Coastal Plains and North Central Plains. Identify the physical features of the Great Plains and its subregions. Identify the physical features of the Mountains and Basins region and its subregions. Texas is divided into four regions—the Coastal Plains, the North Central Plains, the Great Plains, and the Mountains and Basins. The regions are determined by the physical geography, such as landforms, climate and vegetation, or the plants that grow in the area. In this experience, you will learn about the Great Plains and the Mountains and Basins. Identify the physical features of the Mountains and Basins region. Look at this slideshow of scenes from the Great Plains and the Mountains and Basins regions. What did you find interesting or surprising about the scenes that you saw?